The Idea which I realized! I was thinking: "What if... ?!" than I added a bit of humor. My gosh! O_o It looks awesome! Great idea and .... everything! I'm speechless. dont you got any higher resolutions? That would be awesome ive you can put a link for a higher reso ^^. Nice :O Would really love to see a higher-resolution version, though. thanx and keep up this good job! I like the idea. Great drawing that honor my two favourite characters. I agree the hair of galatea is that color? Can't u make a wallpaper of Teresa Moria and the other girl alone with nice dark wallpaper since it's hard to find a good wallpaper. Awesome! 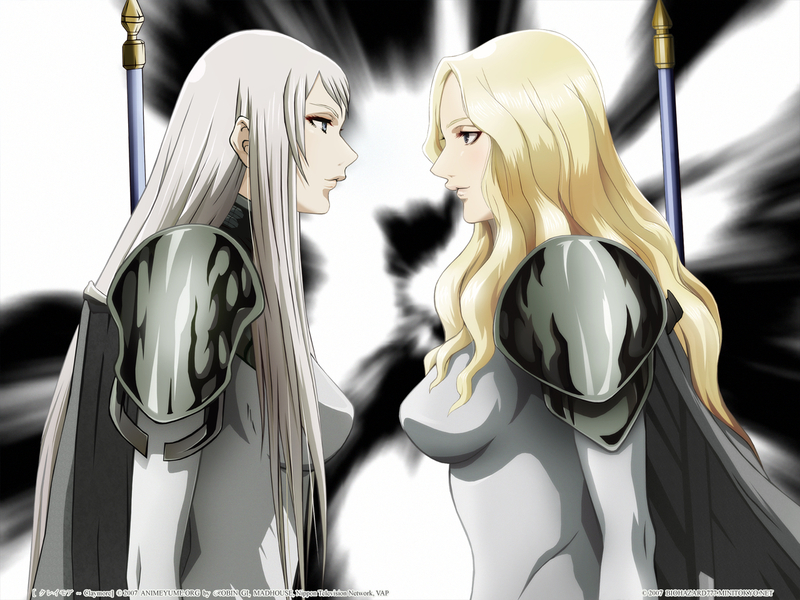 I like to see more Claymore Pictures of Kakusheishas. Good Job! Teresa is the strongest and Galatea the prettiest!